Information Named in tribute to Boston Marathon winner, the late Johnny Miles, this trail is a short and sweet winding gravel path that starts alongside the McDonald's on East River Road, heading through some light woodland and forking between two paths leading to Walkerville Road and down to Park Street near the Scott W. Weeks Sports Complex and jogging track, and a stone's throw from the North Nova Education Centre. Dog waste disposal containers and bags are available near the trail head on East River Road. 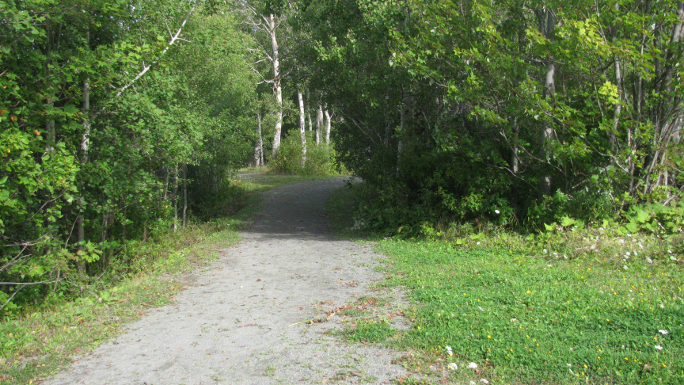 Access to this trail is available on East River Road (beside McDonald's Restaurant), Scott Weeks Sports Complex or the Walkerville Road.